Sometimes in a game, you will have great places to hide chests, but maybe have nothing to put in them. 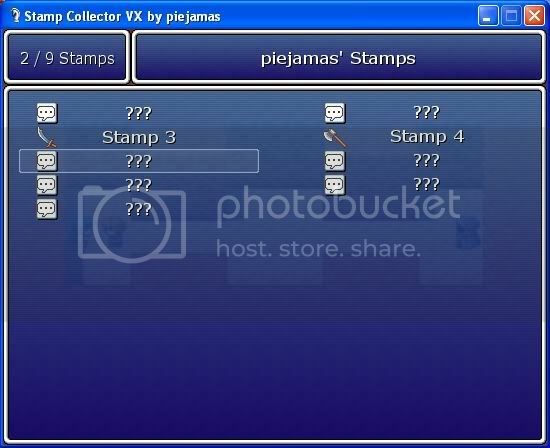 This script lets you create items that the player can collect, and view on a collection screen. This script is not just for stamps, it can be used for anything from artefacts to easter eggs. 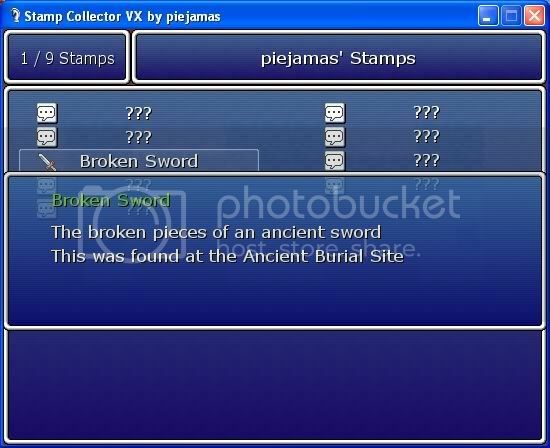 # If set to true, item descriptions will not be shown. # If true, shows item description even if you don't have the item.